As a consequence as a multitude of tasks for the presentation of public tender offers of civil works, our company has been developing since its foundation a specific program called Anubis, which optimize those tasks, achieving an optimum quality in a minimum time. 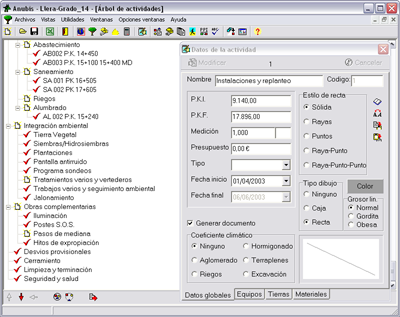 The program rises from the introduction of the complete budget of the work, either manually or of the file FIE- BDC BC3, MS Excel previously treated, the manner how the activities can be organized in a flowchart, according to various stages of implementation, where there should appear representative measurements used to calculate the performance, the initial and final kilometer points and the budget of the task. This is a very powerful phase, since every parameter of each machine, the staff members, real transport distances in order to obtain the number of the lorries needed, etc. The earth movement activities can also be divided in cut and embankment areas starting from the terrain information, in order to later get the real exploitation of the materials. Similarly, the structure tasks can be divided into as many levels as wanted, in such a way we obtain a Space-Time diagram of every particular structure and the work in general automatically. The program is integrated with MS Project® to carry out scheduling of the work, so it is formally validated software for this objective, which allows the linking of the activities according to the logical implementation of the work. 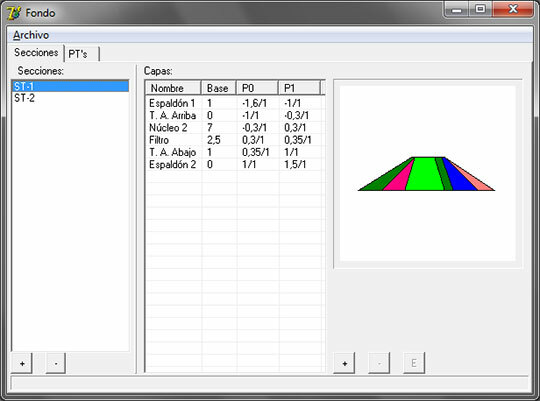 Software designed to calculate wall dimensions, as well as their stability, measurement and materials. 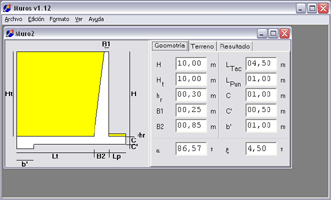 Concrete layers calculation in loose matter dams.